Everest runner-up Trapeze Artist (right) has been inoculated ahead of a possible trip to Hong Kong. Trapeze Artist has been inoculated in preparation for racing overseas, either in Hong Kong or England, or hopefully both. 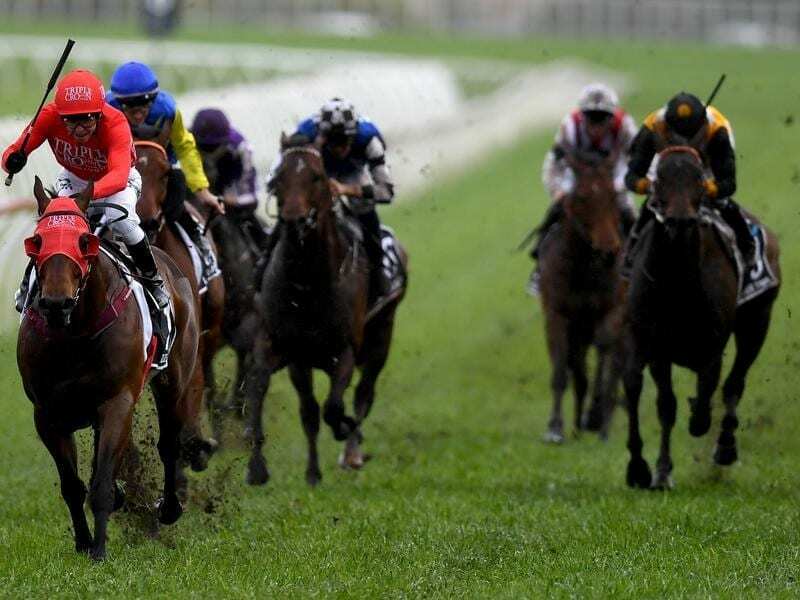 The four-year-old finished a gallant second to Redzel in the $13 million Everest at Randwick on a heavy track which is not his preferred surface. His owner Bert Vieira and trainer Gerald Ryan have expressed a desire to show the triple Group One winner on the world stage before he heads to stud next year. They are hoping the quarantine restrictions between Australia and Hong Kong are relaxed in time for the International meeting in December. At the moment the Australian government has not approved travel home from Hong Kong because of the movement of horses between Sha Tin and the Conghua Training Centre on mainland China. As it stands, Australian horses racing in Hong Kong have to spend six months in another country before they return. The same applies to horses retired from racing in Hong Kong with many now domiciled in New Zealand. “He has been inoculated,” Ryan said. “Today (Sunday) was the last day he could be vaccinated for Hong Kong if they lift the restrictions and then he just needs a booster. Ryan said Trapeze Artist was understandably tired after the race. “He ate up and seems fine but a little tired,” he said. Vieira went to the races on Saturday for the first time in the six weeks since his wife Gai suffered serious injuries in a car accident. She remains in a coma after her car was hit by a highway patrol car in pursuit of another vehicle.